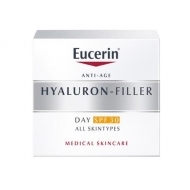 Hydrates deeply and softens;Improves elasticity and fills wrinkles;Strengthens skin structure;Protects collagen and elastin against degration;Stimulates natural cell circulation;Prevents premature aging;Protects against external aggression. 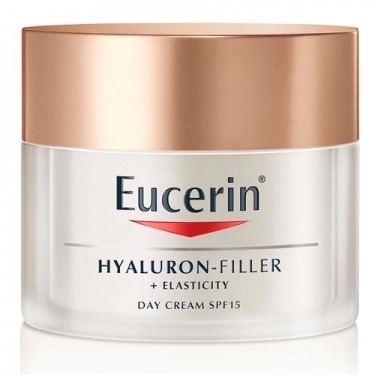 Elasticity+Filler Day Cream SPF15 from Eucerin is a cream that effectively prevents aging of the skin induced by UV rays and the deepest wrinkles. 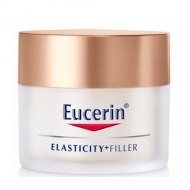 Arctiina accelerates the process of renewing collagen in skin cells, while Silymarin protects collagen and elastin from oxidative stress. The skin feels fresh and radiant. 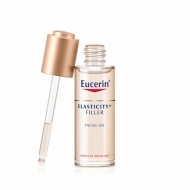 The formula with Hyaluronic Acid, with high and low molecular concentration, fills even the deepest wrinkles. 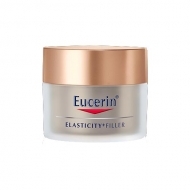 Apply to face, neck and chest, previously cleaned;Massage with firm but soft ascending movements.